Published: 2013-01-09, by Ana Gracia. Serve the customers your most delicious ice creams! "Serve the customers your most delicious ice creams!" 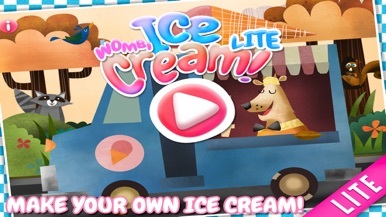 Wombi Ice Cream is a casual game for kids from 4 years old where they need to make lots of ice-cream and satisfy the customers that are lined up outside of the truck waiting to have their dessert ready. How does it work? Drag the flavors, the cups, cones or bowls and once the ice-cream is ready, give it to the customer, trying to adjust to their requests. The gameplay is simple to get the hang of it and the illustrations are pretty impressive, the kid will definitely enjoy playing and interacting with the beautiful interface. Wombi is the developer of Wombi Ice Cream lite version and full application with all the complete features. A nice game for kids, nothing special or original but well-developed graphics and a perfect interface. The customers line up outside of your ice cream truck and you have to now make lots of ice cream! Will it be in cups, cones or bowls? And what flavors? 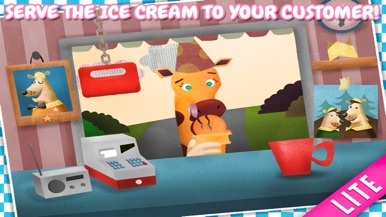 Drag, point and click och create the tastiest ice cream ever! - Many different cups, bowls and cones! 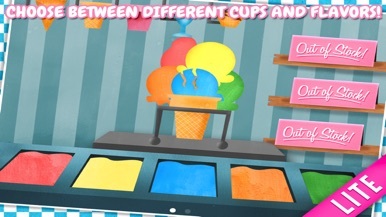 - Choose between six fantastic ice cream flavors! - Two different customers with new requests every time! 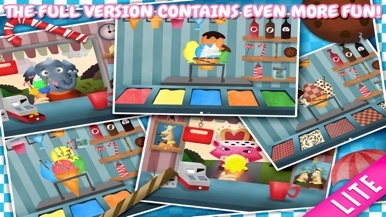 In the LITE-version you can test making some of the ice creams that are in Wombi Ice Cream for free. Do you like the app? 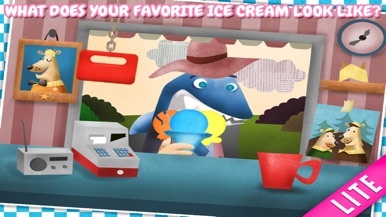 Then get the full version with ALL of the ice cream accessories and new, hungry ice cream customers! “ A Awesome Sauce Ice Cream Mogul Mania Dessert Maker for Kids!